If you are looking to improve and enhance the overall appearance of an entrance door then choosing the right hardware is essential. 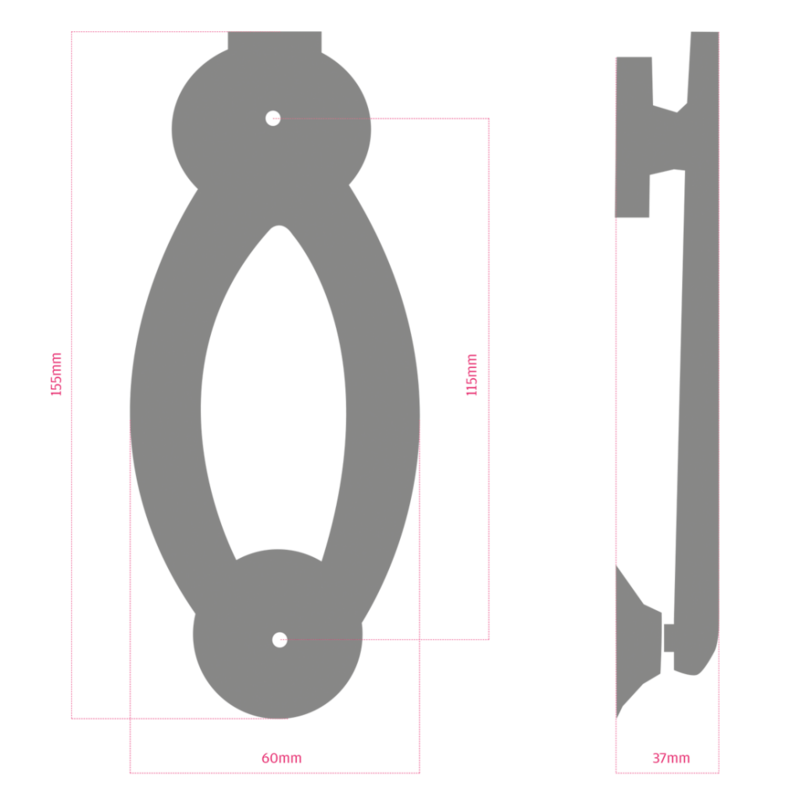 The Modern Oval Door Knocker is a 2-piece door knocker which includes a pin. It has bolt-through fixings, and comes complete with 2 identical colour-matched solid brass nuts and washers, for perfect co-ordination. It is important that your front door provides security and protection, but also has to be aesthetically appealing as well, and therefore there needs to be an equal balance between the practical and the decorative. 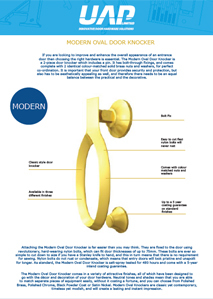 Attaching the Modern Oval Door Knocker is far easier than you may think. They are fixed to the door using revolutionary, hard-wearing nylon bolts, which can fit door thicknesses of up to 75mm. These bolts are ever so simple to cut down to size if you have a Stanley knife to hand, and this in turn means that there is no requirement for sawing. Nylon bolts do not rust or condensate, which means that entry doors will look pristine and unspoilt for longer. 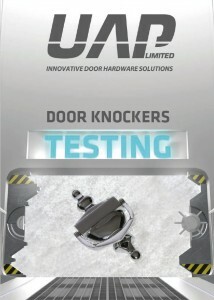 As standard, the Modern Oval Door Knocker is salt-spray tested for 480 hours and come with a 5-year inland coating guarantee. The Modern Oval Door Knocker comes in a variety of attractive finishes, all of which have been designed to go with the décor and decoration of your door hardware. Neutral tones and shades mean that you are able to match separate pieces of equipment easily, without it costing a fortune, and you can choose from Polished Brass, Polished Chrome, Black Powder Coat or Satin Nickel. Modern Oval Knockers are classic yet contemporary, timeless yet modish, and will create a lasting and instant impression.